I love art, doable DIY, and my cat, Bea. But, my bread and butter is brush lettering! Say that 5x's fast! I'm a teacher and a designer... A teacher of online and in-person workshops. I launched my first online class, The Love How You Letter Class, in April of 2017, and am now focusing on creating a library of Skillshare classes focusing on my specialties. When I'm not teaching, I work out of my home office as a product designer for Inked Brands! I co-host a podcast... I started The Misses Ambitious Podcast with my business BFF in 2017. Our show is for the creative or entrepreneurial spirit who wants to dive into this scary/crazy/awesome world, but needs a little pep talk first...we are currently on hiatus but you can catch up on our backlog of over 100 episodes on iTunes and Spotify! I blog about the fun stuff… As social media takes over the role of what a blog used to be, my blog has become a reprieve for me to share about projects and resources that are all for fun. My goal is to mesh lifestyle with art and to inspire you to make your surroundings fun, bright, happy, and totally reflective of you. Kiley in Kentucky' began in 2013 as a small lifestyle blog I used to gain writing and photography experience shortly after graduating college. When I moved to New York City in 2014, I was SURE life in New York City would inspire me to continue blogging, but it simply didn't feel right anymore and, reluctantly, I went on an indefinite hiatus. To my surprise, when I took a step back, everything started coming into focus! I picked up hand-lettering as a way to pass time at a low-key desk job and re-discovered my love of blogging...this time about lettering tutorials and inspiration! By mid-2016, I had moved back to Kentucky, opened an online shop, gotten married, and relocated (again) to Southern Illinois, where I live with my adorable husband. Kiley will soon be back in Kentucky at the end of 2019, as we relocate to Lexington, Kentucky! Q: I don't have a degree in design...do you have one? Do I need one to follow my design dreams?! A: I do not have a degree in design, and I don't think you need one either! It's a much tougher road to travel, but I am almost 100% self-taught. However, if getting a degree is the right path for you, go for it! I will 'never say never' to going back to school one day. Q: How and when did you begin lettering? A: In some form or fashion, I have been lettering my entire life (elementary school = bubble letters)! I began taking lettering seriously in mid-2015. I got myself in the habit of daily lettering practice by participating in 30 day lettering challenges on Instagram and researching lots of different styles! Q: Is this your full-time job? Q: What is the best way for a total beginner to learn lettering? A: Eek! That's a big one! I wrote a blog post about my 3 Favorite Tips for Beginners here. As for learning, you can follow me on Skillshare for upcoming classes on lettering! Q: What products do you use the most? A: Because I prefer brush calligraphy, I reach for Tombow Dual Brush Pens more often than any other tool. Another favorite is the Tombow Fudenosuke pen. For watercolor brush lettering, I use a Pental Aquash brush. Q: You seem to favor Tombow products. Any particular reason? A: I ran to the nearest art supply store and bought a pack of Tombow Dual Brush Pens when I saw Amanda Arneill using them on Instagram. After experimenting with other brands of brush pen, I still preferred their brush tip over any other on the market. 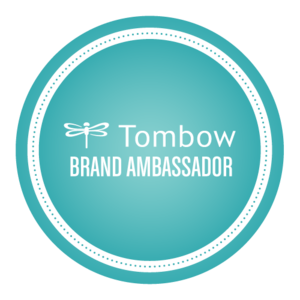 I have been blessed and thankful to be a TombowUSA Brand Ambassador since 2017, meaning I test, review, and blog about their products. Q: What program do you use to digitize your hand-drawn art? Q: What platform/who did you use to design/build your website? A: I use Squarespace, and I designed it myself, thanks to Squarespace's easy-to-use website building platform. Q: What app do you use to edit your lettering photos for Instagram? Q: Do you take your own blog photos? A: Yes! For MOST of my blog posts, the photos you see are my own (I use this camera and love it). However, every now and then you’ll see a photo taken by my talented mom, January June Photography.